I’m so excited to finally share this project with you! This is one I had been working on for a while. 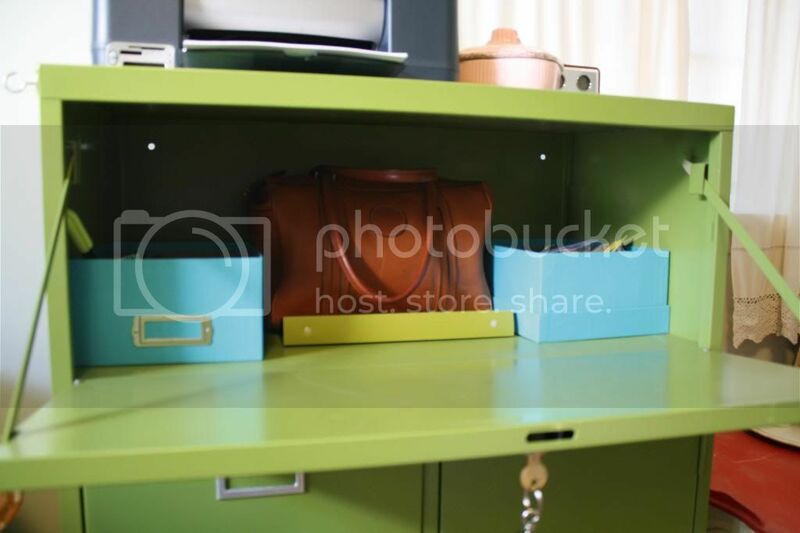 I am in the process of fixing up our spare room and I decided that I really needed something to hold my printer (which had been sitting on a stack of plastic boxes! ), my files, and my office supplies. 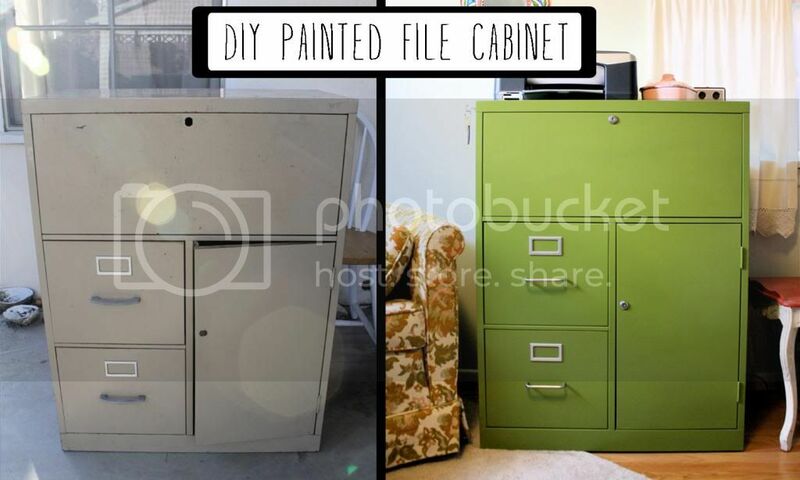 After seeing this post, I was inspired to try painting my own filing cabinet, so I kept any eye out at the thrift store until I found the perfect one, which I really liked because it had both drawers and storage compartments and wasn’t too tall. For me it was one of those projects I thought would be relatively easy and cheap and that you can do in one weekend, but then ended up dragging on for a month and costing a lot more money than I thought. I was so glad to be done with it by the end! However, despite the challenges it posed, I’m really happy with the finished product and I know it’s something that I’ll be using for years to come. 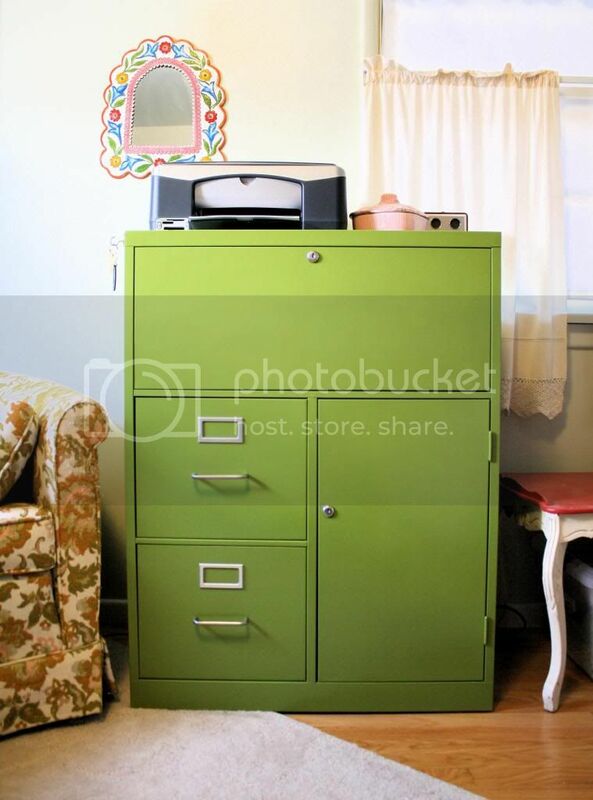 The cabinet holds my printer paper and notebooks and my vintage flower pots. The top part holds my office supplies and camera bag. 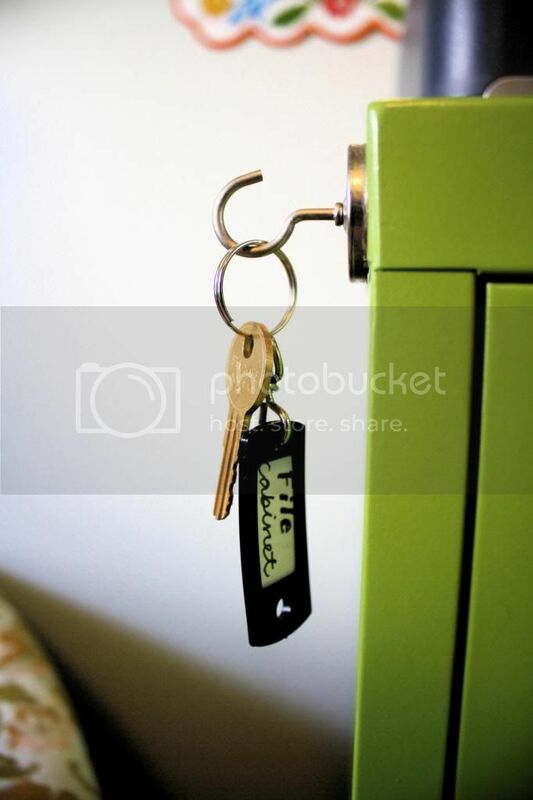 I used this little magnetic thing to hang the key on. Hopefully I’ll never lose it! 1. 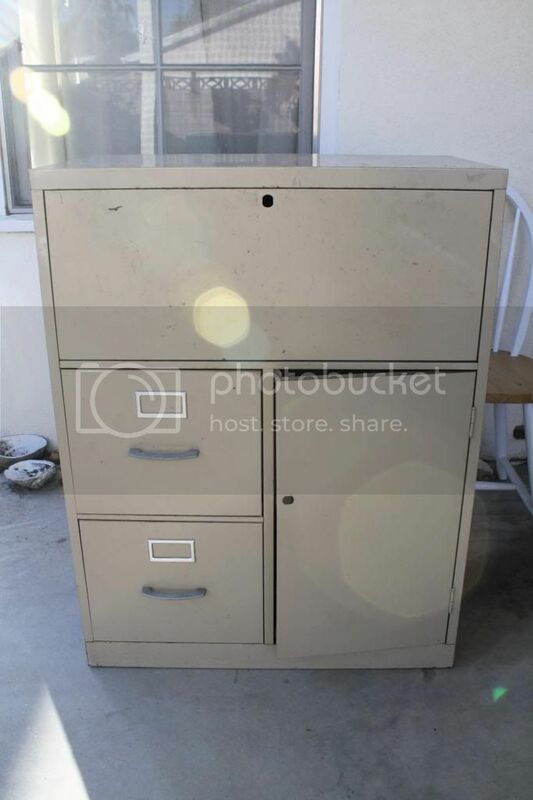 Buy a secondhand filing cabinet. I picked up this beauty at a local thrift store for $7. It was originally $14 but they gave it to me for half off because it didn’t come with a key (which it needs to stay shut). Turns out, making a new key ended up costing me over $24, so that wasn’t such a great deal after all. I would recommend only buying one that has the original key with it and doesn’t have rust or any dents, because fixing those issues will cost you more time and money in the long run. I had already taken off the locks at this point- they come off easily with a screwdriver from the inside. 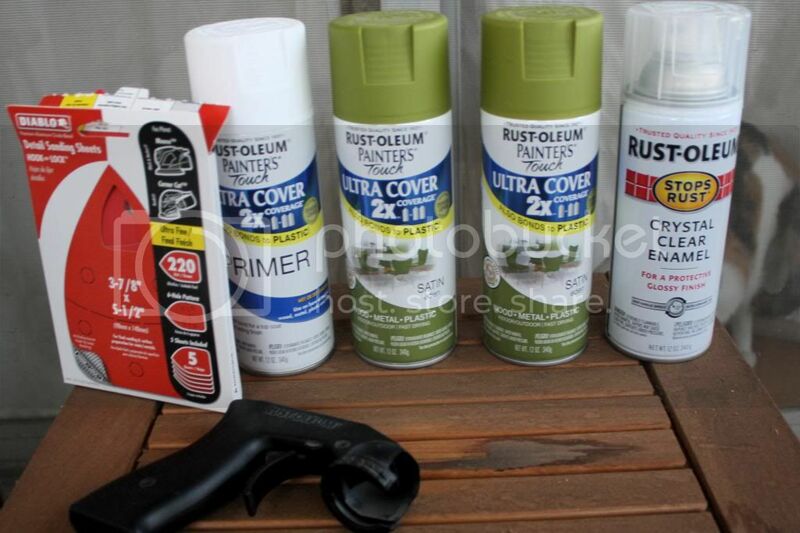 –Clear protective spray (I needed so many cans of this that I lost count! I think it was six) I would recommend getting the slightly more expensive Minwax brand rather than the Rust-oleum brand I originally bought. It went on much thicker and more evenly. I started by vaccuming mine out, then wiping down the surfaces with soap and water. That thing was dirty! 4. 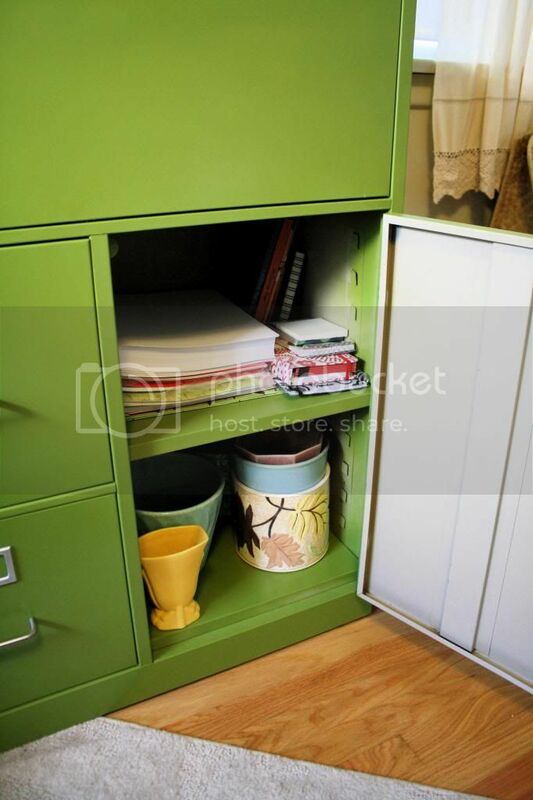 Take off the Hardware and take out the drawers/cabinets. Take it apart as much as you can. Make sure you keep all of the hardware together in a ziploc bag. There’s nothing worse than missing one screw when you go to put it all back together! You don’t need to take off the paint, just get it a little rough so the primer will stick. 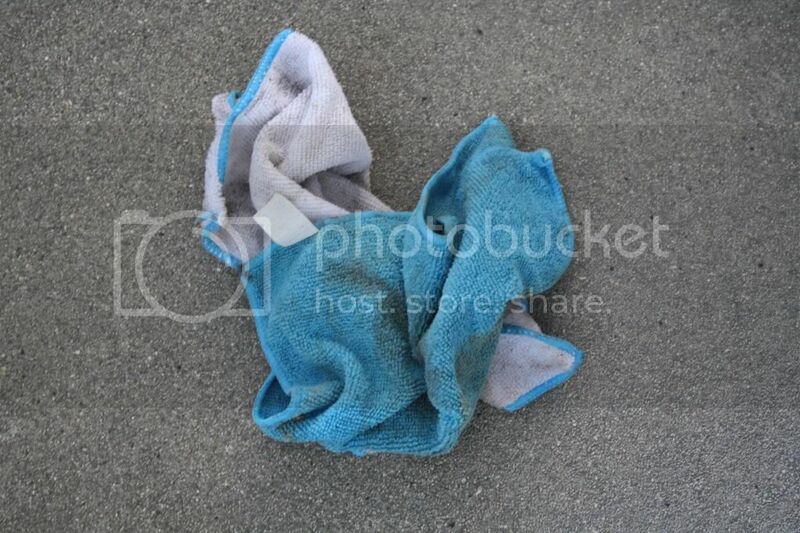 Wipe it down again with a microfiber cloth to remove all of the dust. 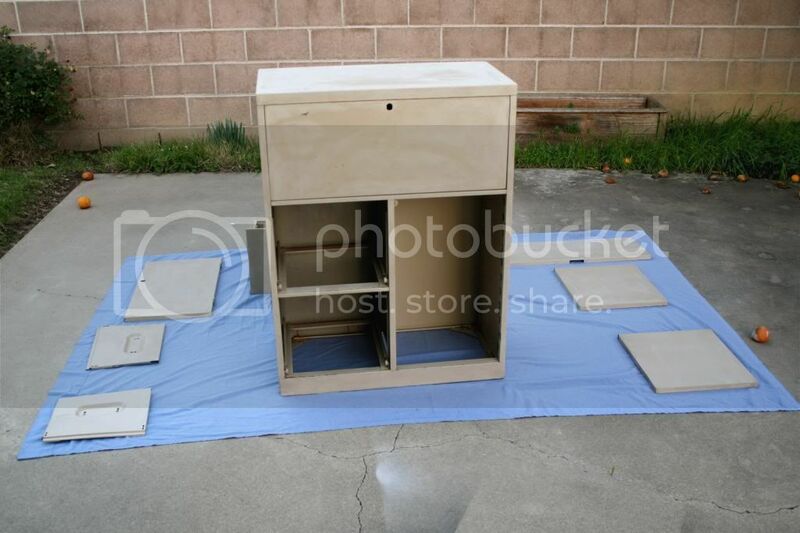 Here’s my filing cabinet taken apart and sanded. 5. Spray on your primer. Try to get it as even as possible, but don’t worry if it’s not perfect because it will get covered up with paint. 6. Spray on your paint. Try to paint in slow, even, horizontal strokes (this was a challenge for me). Look on Youtube for videos on proper technique if you have questions. Based on my experience, I would also try to paint in a garage if possible rather than outside. There was barely a breeze when I painted, but I still ended up losing a lot of my paint to the wind. 7. Spray on your clear coat. After your paint has had time to dry thoroughly (you might want to let it dry overnight), spray on your clear coat protectant. You might be tempted to skip this step, but think of all the work you just put into painting your cabinet- you don’t want it to get scratched up in a week, right? Once again, use slow, even strokes. Let the clear coat dry thourougly before you start putting anything back together. 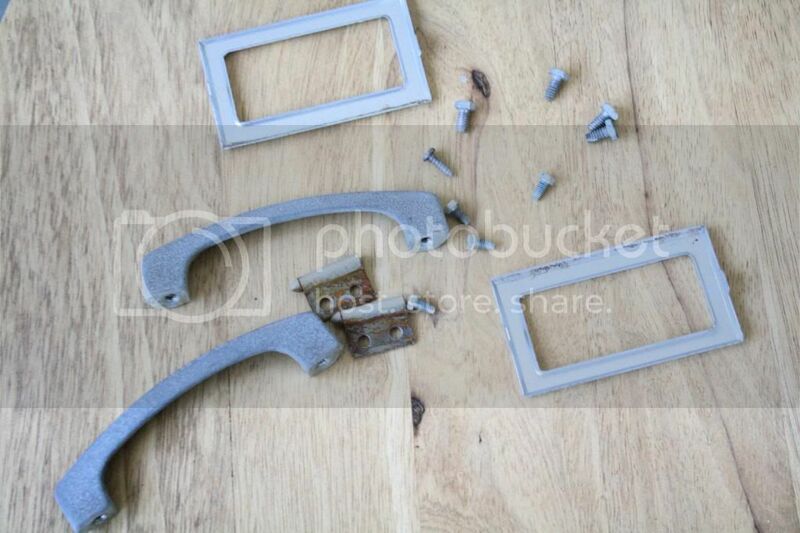 Put the locks back on, put the drawer pulls back on (I opted to buy some new ones) and screw everything back together. 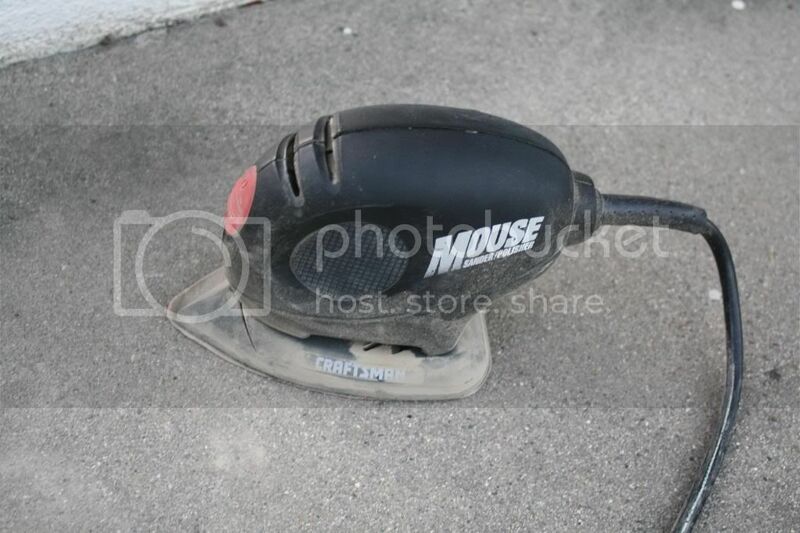 I also added some felt pads on the bottom of mine to keep it from scratching the hardwood floor. And voila! Your cabinet is complete!